Slim and stacked. 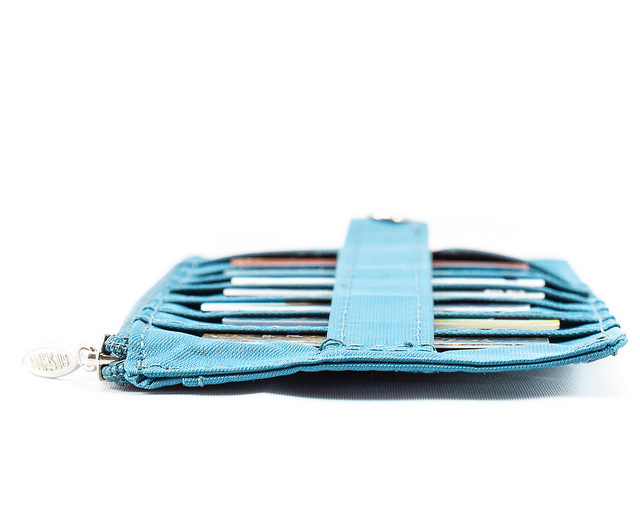 The wallet, of course. Fast, Fast, Fast just like the animal or the convertible Jaguar that we've all lusted after for years. 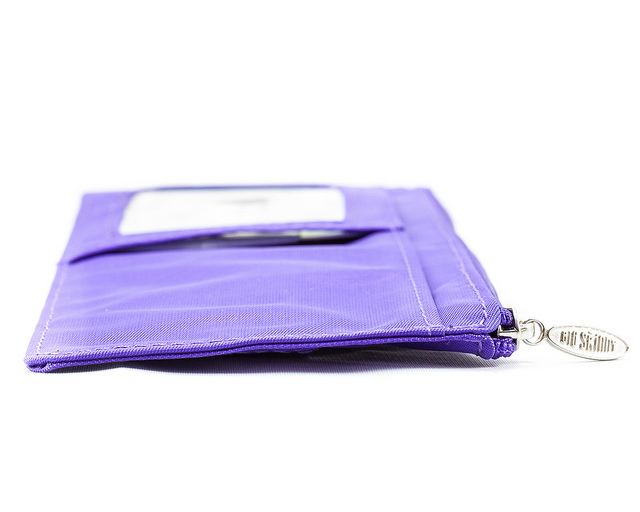 This slim wallet model was designed for quick visibility and fast access! So you can see your cards stacked up in a nice tier and take them out even more quickly. 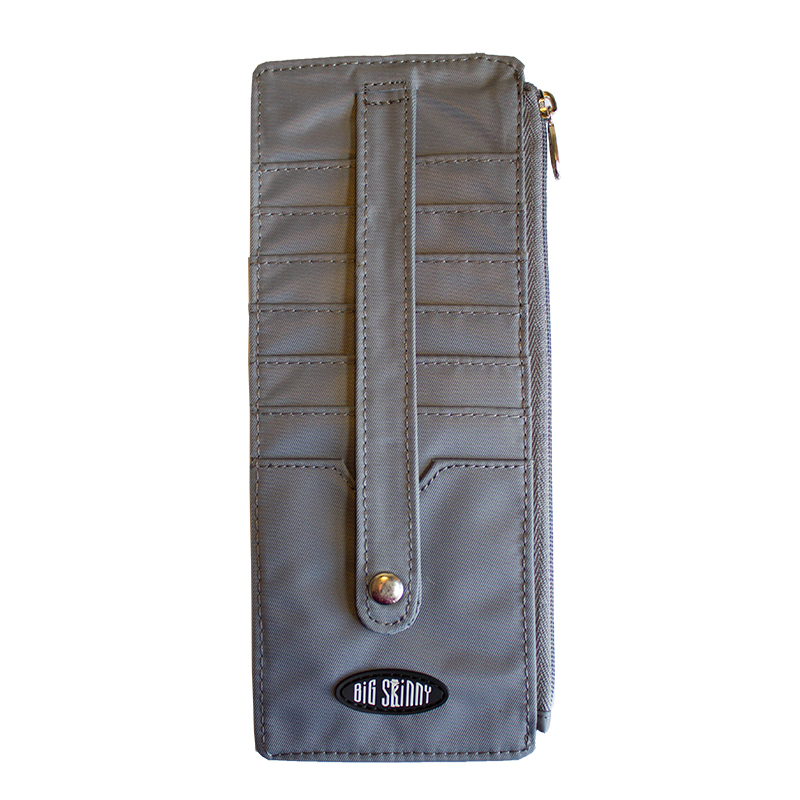 The reverse features a clear ID pocket, long billfold or receipt pocket and a large zippered area for your cash, change, keys, phone or what-have-you. 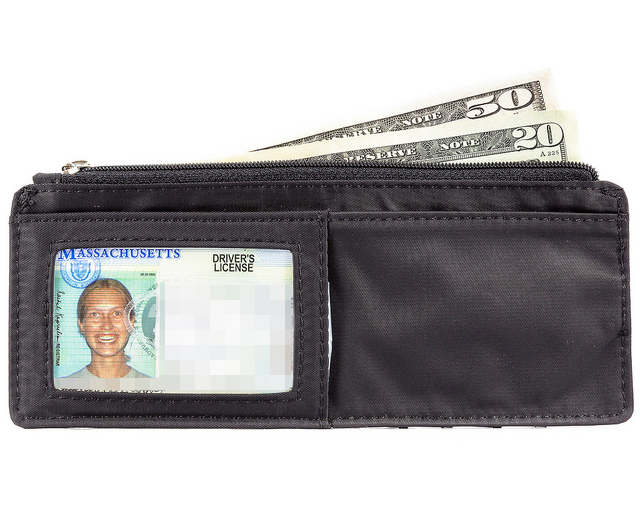 Both the billfold area and zippered pocket area can hold full-sized paper bills unlike many other imitators as we take our wallet design very seriously and often overthink every design detail to make sure it works under real world conditions. Holds about 25 plastic cards. 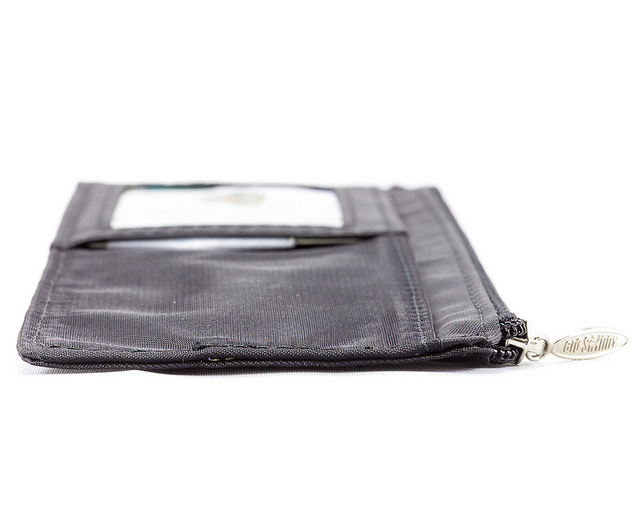 The Big Skinny Jaguar Credit Card Wallet is so thin and it holds all of my cards perfectly. 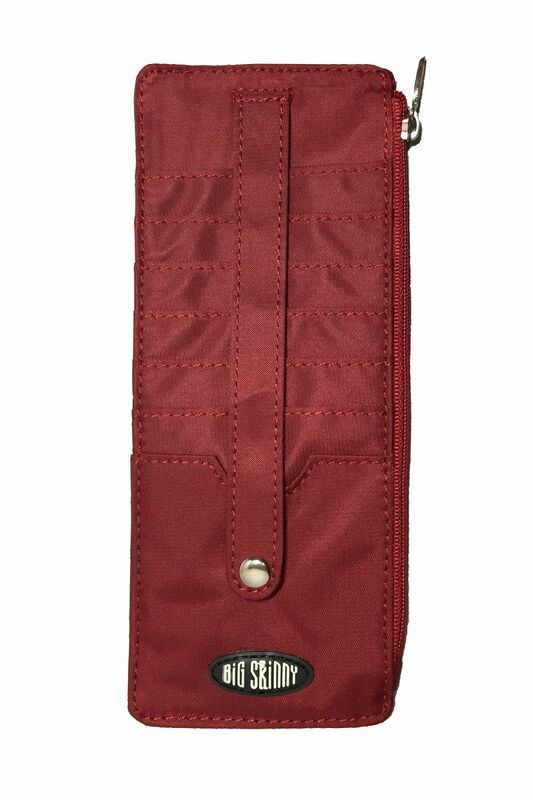 It saves a lot of space in my purse so I can use other purses easily. It's so attractive that I have gotten compliments from others when I am paying for something. "What an attractive credit card wallet -- where did you get it?" I wish Big Skinny had a store down the street so I could send customers there. 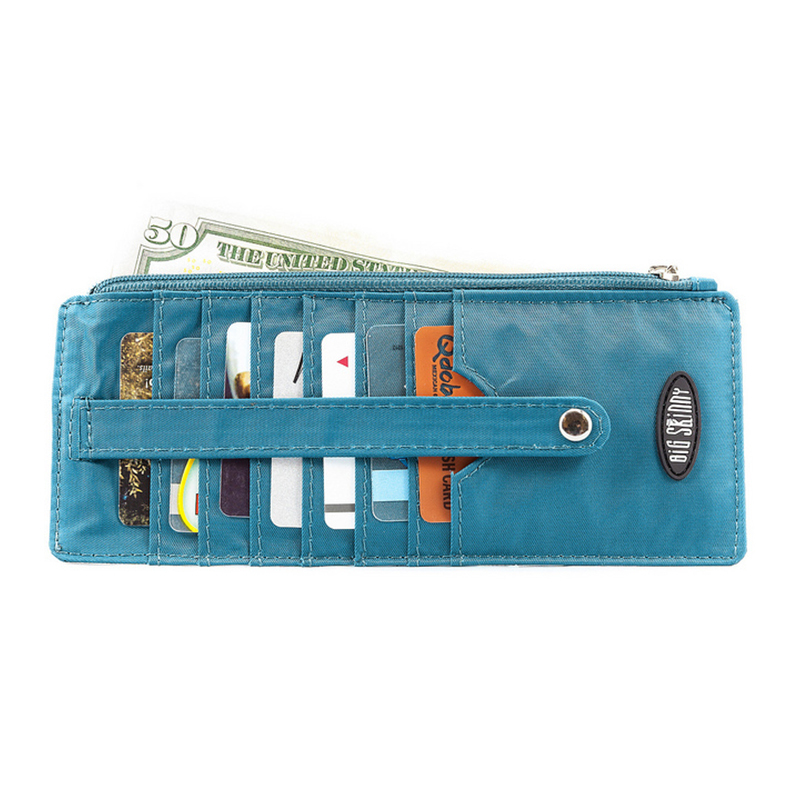 I had to stop carrying a large pocketbook, and for a few years have kept necessary cards (license, health care cards, a couple credit cards, a bit of cash, etc) held together in a rubber band. It worked, but when I almost lost the whole thing I figured it was time to do something else. 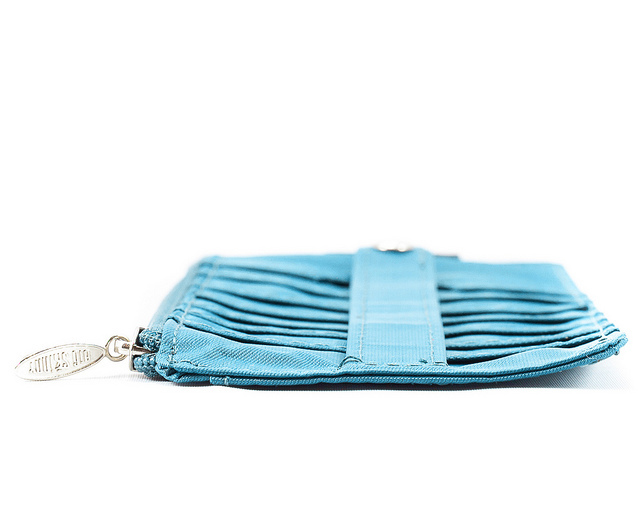 The Big Skinny is perfect, and it is the exact size to fit in my little wristlet. Thank you, thank you, thank you. It holds all my stuff. it's perfect! ProsSize. 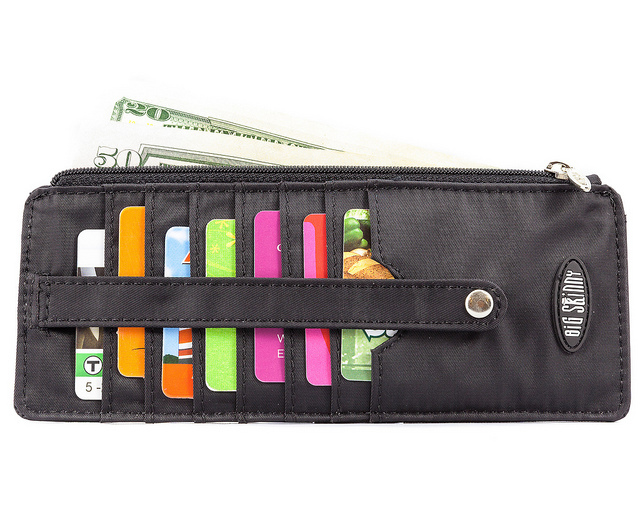 Zippered currency holder, Room for so many credit and other cards with magnetic strap to secure them. 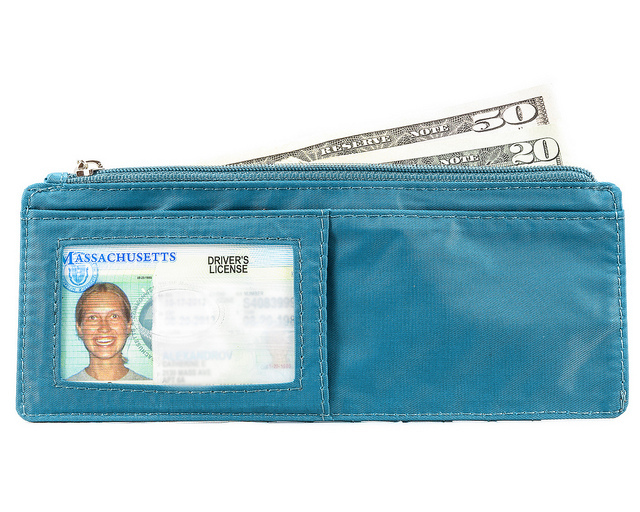 Separate license pocket. It's perfect! 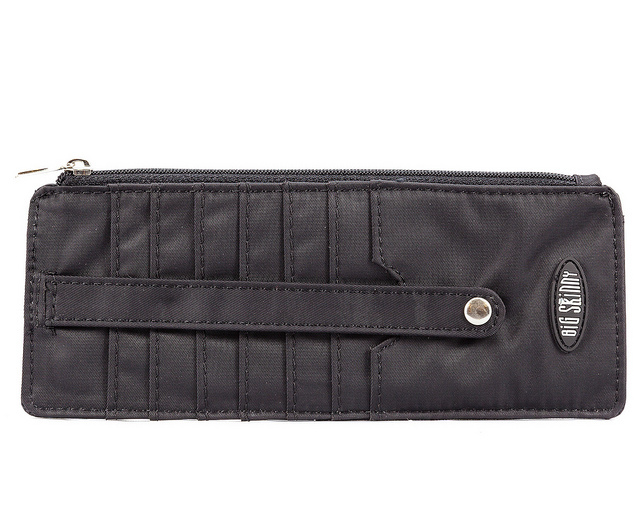 Like the wallet but would much prefer the exact same style in leather. Had one but it wore out. 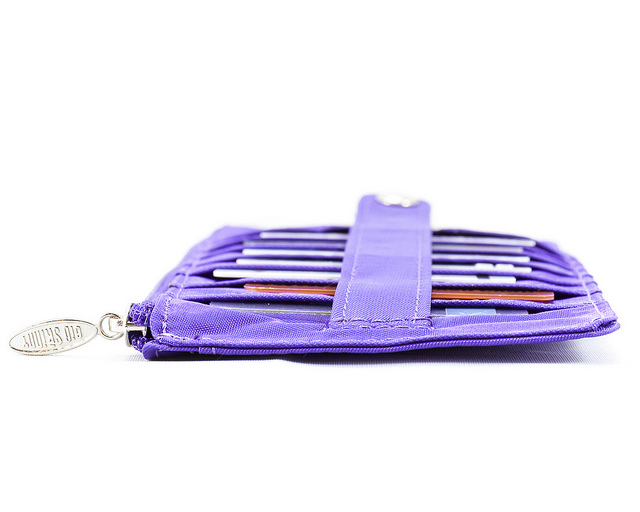 I confess, i purchased 3 in gray and 2 in purple from the "A" website as i wasn't able to find them on this website. I loved them so much that i bought them for my sister, mother and niece and they too love them! the slim size is wonderful. the ease of access for the cards is awesome. 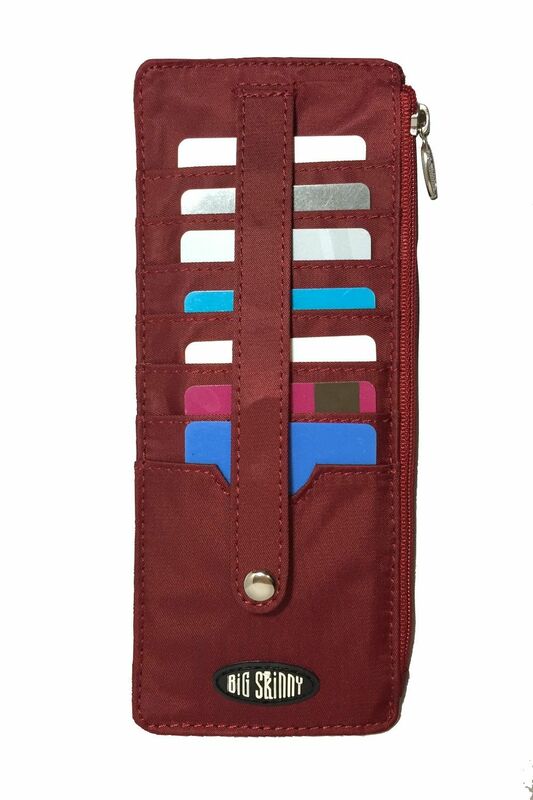 i love that it does not have card slots on both sides as i prefer having the clear ID and a place to put my cash/coupons for easy access in addition to the zip coin pouch. the only "down" side is that it lacks the RFID feature. I have to use the RFID sleeves which takes away from being able to put more cards in the slot. 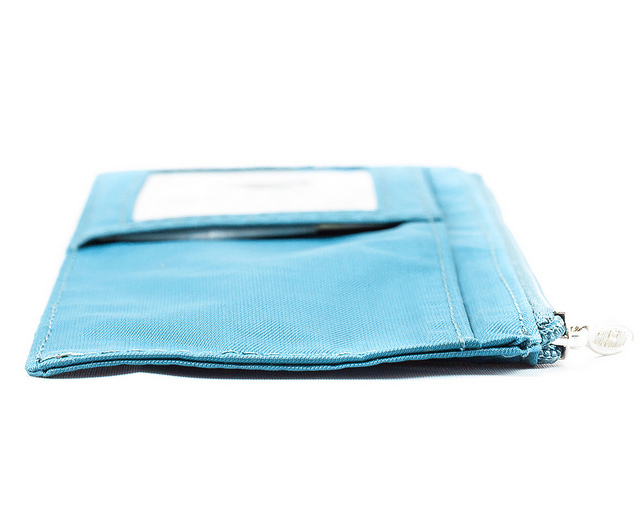 Personally, i hope big skinny will always carry this style of wallet! at the doctors office. I LOVE all your products. This wallet is great. 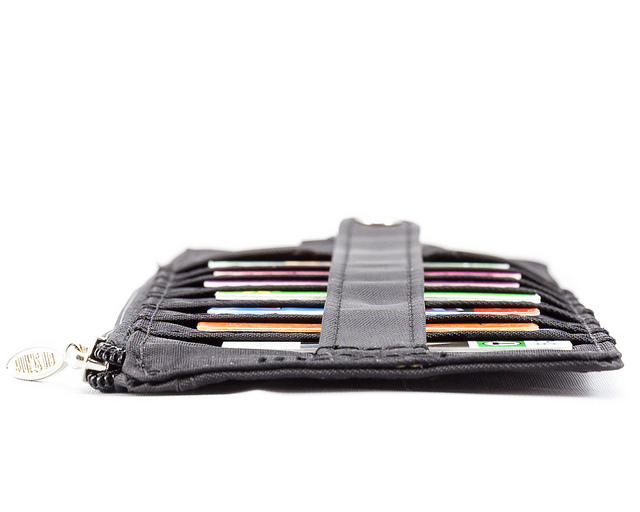 It's so much thinner than other wallets and holds more too. 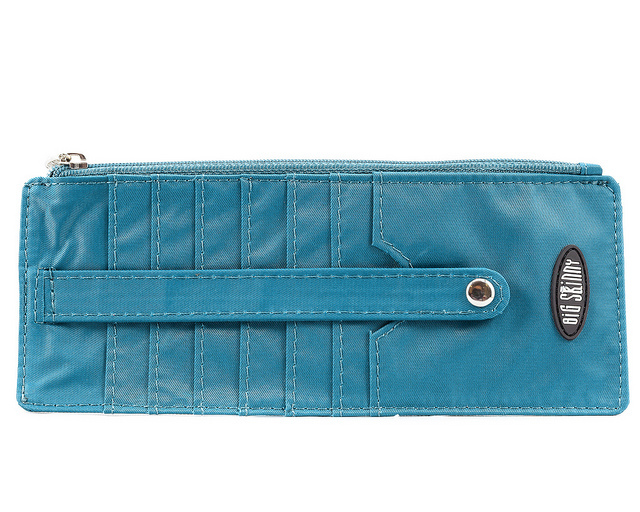 I do wish there was more room in the zippered part. My mom had showed me her wallet from this conpany. Her only problem was her wallet got stained and she tried washing it, but nothing worked. 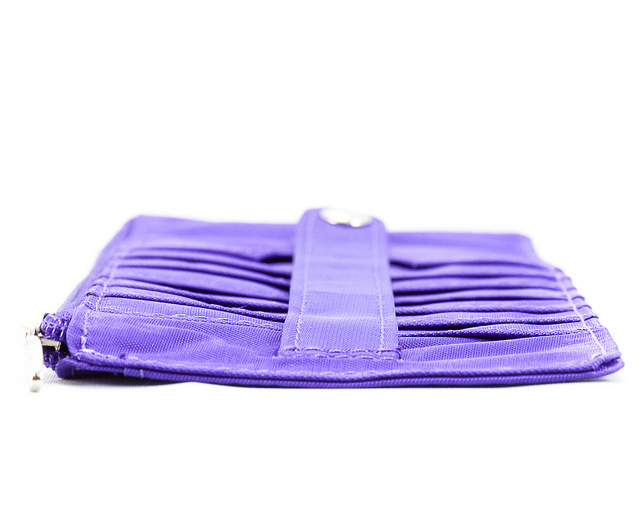 So I checked out these wallets and i bought this one in purple. 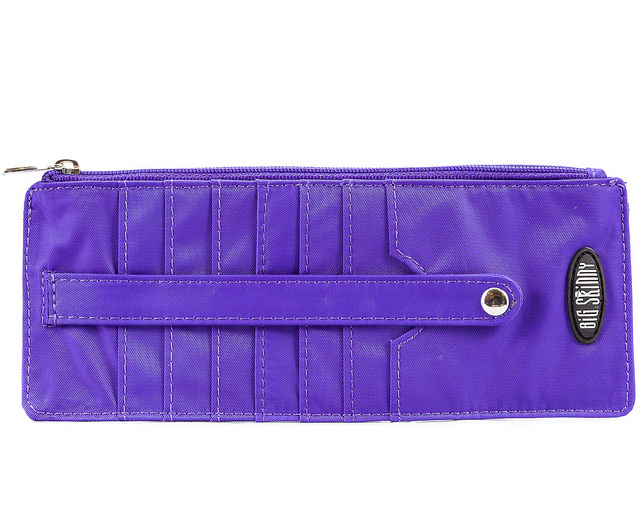 I love the color because its bright and a nice shade of purple. Recently though my zipper pull came off because the hook broke so now its hard to open the zipper. 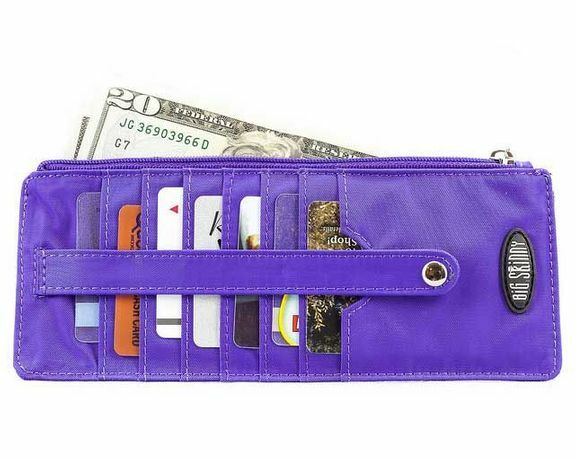 I hate thats its broken because I love the wallet but it makes it super inconvenient to try to put my cash away. Merchant Response:Hi T.H., Oh no! We'll get a replacement sent to you immediately! Big Skinny has a 1 Year Warranty for parts & workmanship. 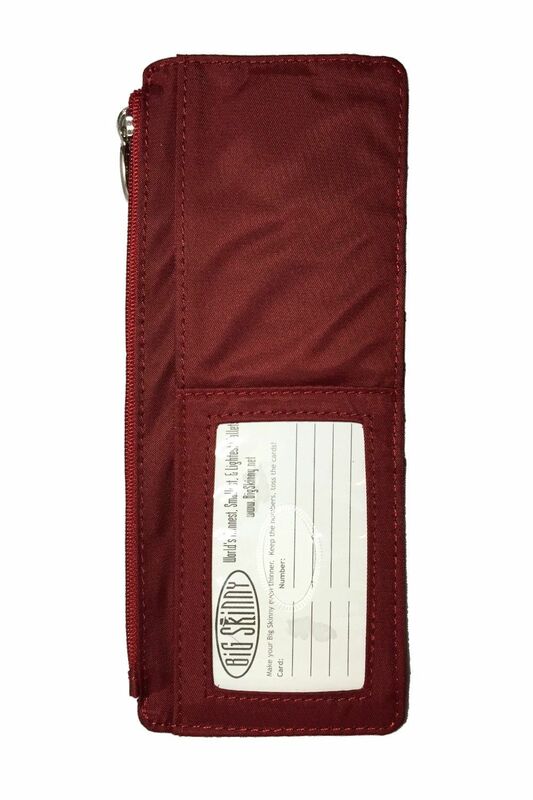 Unfortunately, we were unable to locate your order details in our system, at your earliest convenience- please contact our customer service team at service@bigskinny.com or 617.500.6939 and they'll be happy to send out a replacement to you. Prosslim,lightweight, holds everything I need. 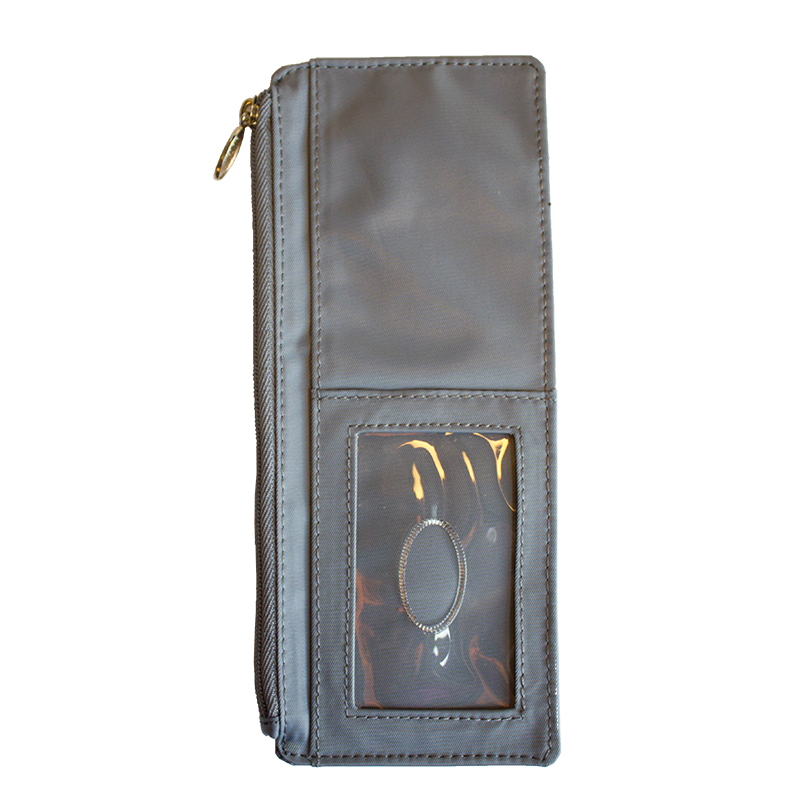 Easy to find in my purse, easy to fit in without bulging and carries everything I need in minimal space. Jaguar Credit Card Wallet is the way to go!!! I love my jaguar credit card wallet. It is absolutely wonderful! 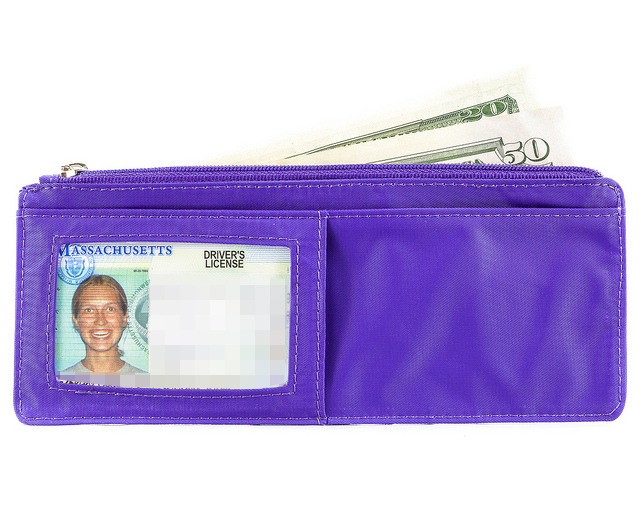 I can fit all my credit cards, drivers license, and medical ID cards - and paper money & change. It's so easy to move from one purse to another.